After originally non-tendering him as a restricted free agent, the Packers have re-signed linebacker Jordan Tripp, reports Aaron Nagler of PackersNews.com (Twitter link). Green Bay picked up Tripp, 25, last December after he was waived by Seattle, and he ultimately appeared in the final two games of the season for the club. The lowest restricted free agent tender is worth $1.797MM, so Tripp presumably re-signed for a figure cheaper than that total. The Packers have also re-signed exclusive rights free agent fullback Joe Kerridge, according to Aaron Wilson of the Houston Chronicle (Twitter link). Kerridge, 24, appeared in eight games last season, but was most a special teams player, as he only rushed a single time. The Lions have re-signed long snapper Don Muhlbach, the club announced today. It’s a one-year deal, according to Dave Birkett of the Detroit Free Press. Muhlbach has been Detroit since 2004, and is No. 25 among active players in career appearances (196). The Lions used a sixth-round pick on fellow long snapper Jimmy Landes in the 2016 draft, and now that he’s recovered from shoulder surgery, Landes figures to compete with Muhlbach for the job, per Birkett. Detroit ranked sixth in special teams DVOA last season. After announcing they’d use their IR-return slot on linebacker Mike Morgan last month, the Seahawks activated the veteran in advance of their Week 13 game against the Panthers, per Bob Condotta of the Seattle Times (on Twitter). 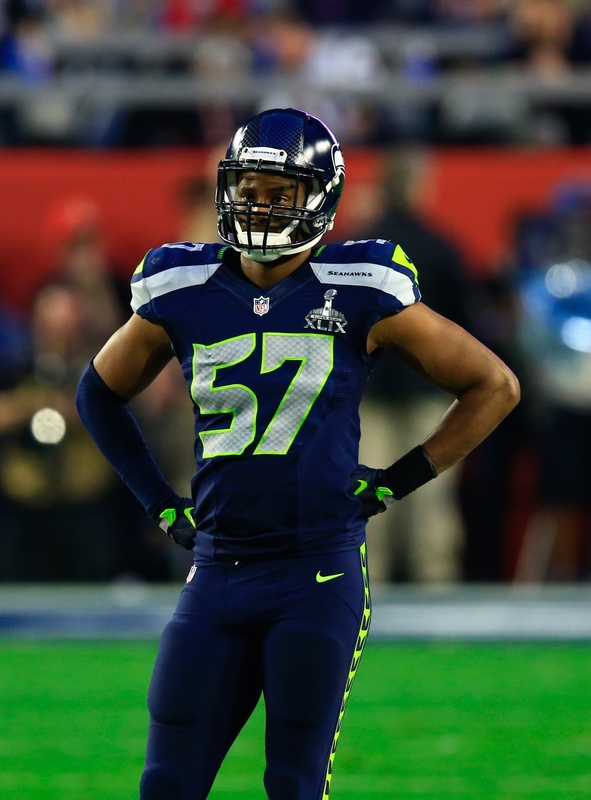 The Seahawks placed linebacker Jordan Tripp on IR to make room for Morgan’s return. Morgan is expected to start opposite K.J. Wright at outside linebacker Sunday night, Condotta tweets. Morgan ventured to IR on October 3 due to a sports hernia issue. He returned to practice midway through last month and will return to game action just before the 21-day limit Seattle had to activate him expires. Pete Carroll said when it became known the team was bringing Morgan off IR he could have played in mid-November if he weren’t on the IR list. But the eight-week waiting period is over, and the Seahawks will have another contributor available as they attempt to secure their third playoff bye in four years. A six-year veteran used mostly on special teams, Morgan has been a key part of those units for the Seahawks. On a defense filled with well-paid standouts, Morgan fills in one of the gaps that require cheap labor to balance out the cap. Seattle re-signed Morgan, a former UDFA, in March to a deal that pays him $1MM this season. He’s started in one game this year after making two starts in 2015. The Seahawks have placed linebacker Mike Morgan on injured reserve with a sports hernia, according to Bob Condotta of the Seattle Times (Twitter link). Head coach Pete Carroll said Morgan will have surgery and will miss four-to-six weeks, so it’s possible that he could return off IR later in the year (link). To fill Seattle’s empty roster spot, the club will promote linebacker Jordan Tripp from the practice squad (link). Morgan, 28, is a starting linebacker in the Seahawks’ 4-3 scheme, but given that the club is the nickel the majority of the time, Morgan has only played on roughly a third of Seattle’s defensive snaps this season. A six-year NFL veteran, Morgan has spent his entire career with the Hawks and has appeared in 71 games, but he’s only started four contests. According to Carroll (link), backups Cassius Marsh and Kevin Pierre-Louis will fill in during Morgan’s absence. In other Seahawks news, reserve defensive end Quinton Jefferson had hand surgery and will be out a few weeks (Twitter link via Condotta), while the club has waived offensive tackle Terry Poole off IR, per Condotta. 7:57pm: Jacksonville has also released safety Josh Evans, according to Aaron Wilson of the Houston Chronicle (Twitter link). Evans played a significant role during his three years with the Jaguars, who selected him in the sixth round of the 2013 draft. All told, he appeared in 47 of a possible 48 regular-season games and tallied 36 starts, with at least 11 coming in each individual campaign. Evans, 25, amassed 201 tackles – including a career-high 90 in 2014 – with the Jags. For his performance last season, he ranked just 77th among Pro Football Focus’ 89 qualified safeties. 4:50pm: The Jaguars’ quest to get to 53 has bumped Ryan Davis from the roster. The pass-rushing specialist took to Twitter on Friday to announce that the Jaguars have let him go. “I got love for Duval, but my time here is done, catch ya later,” he wrote. Davis was considered something of a lock to make the Jags’ roster this year after he was hit with the second-round tender worth $2.55MM. After spending past years at defensive end, the Jags were hopeful that he could successfully transition to linebacker. Davis, who has registered 11 career sacks with 10 in the last two years, was expected to back up Dan Skuta on the strong side.